So you’re short on time, but still want to build some social good and donate to charitable organizations. Instead of passive monthly donations which grant you a subscription to an e-mail newsletter you never read anyway, how about actionable donations that keep you updated about your contribution? Microvolunteering is about benefiting worthy causes with little, non-skilled actions. It’s an extremely simple concept with a lot of potential that fits in well with our hectic lifestyles. 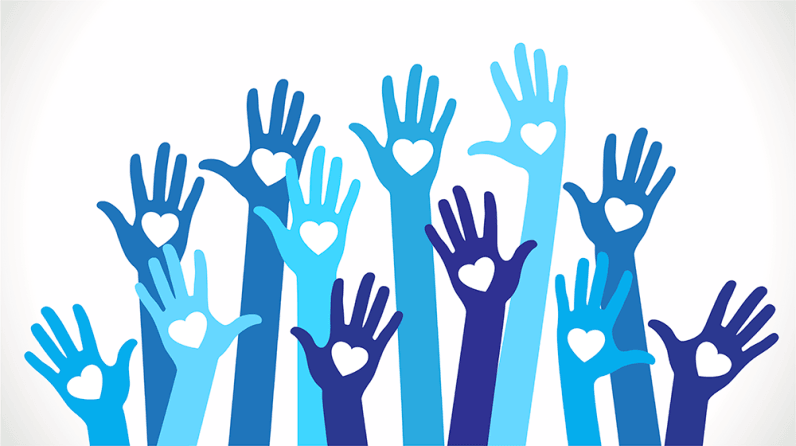 If you’ve ever wondered how you can donate to charity and make an impact, here are five microvolunteering platforms that’ve got you covered. This Danish platform connects volunteers from around the world to the visually impaired. Be My Eyes is a platform that does what it says on the tin. It allows volunteer helpers from around the world to “be the eyes” of someone visually impaired via live video chat. It’s a great example of tech being used for good. A request for help can be sought for things like checking an expiry label date, and a volunteer can help by answering any questions. The mission of Elbi is to inspire everyday philanthropy through digital creativity. It’s a pretty cutesy app, suitable for children, with creative actions being doodles to cheer up orphanages and naming newborn puppies. Through follow-up (see how well your platypus-camel-unicorn did), it wants to motivate small, feel-good charitable acts, in addition to supporting microdonations directly from your phone. If you’re tired of clicktivism and want to put your money where your mouth is, check out Tinbox. Its mission is to build social capacity, bringing people, companies, and charities together to make communities better. It’s as simple as picking a project, donating $1, and watching it coming to life. What makes this platform cooler is the fact your donation is sponsored and matched by a company; double the impact. For those who are absolutely convinced they have zero time to commit to charity, how about moving with purpose with Charity Miles? It piggybacks onto your normal routine letting you donate to charity when you’re cycling to work, going for your coffee run, and walking your dog after dinner. We’re cheating a little here on the microvolunteering angle, but Catchafire hits good buttons with its platform connecting talented folk with mission-driven organizations. Maybe you have some skills in Web design, crafting pitch decks, or coming up with excellent marketing strategies? This selective skills-based matching platform might be something for you.